By placing a formatted xml file with site map on your webserver, you enable Search Engine crawlers (like Google) to find out what pages are present and which have recently changed, and to crawl your site accordingly. 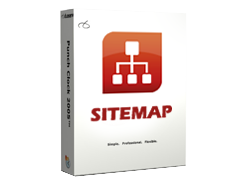 XML Sitemaps are a great way for webmasters to tell search engines about all the pages on their website including when they were updated, how often they are updated and their relative importance. This is a list of URLs for your website in a form of XML file. It allows you to include additional information about each URL such as the date it was last updated, how often it changes, and how important it is. XML format ensures that this information can be easily processed on different kinds of computers, applications and systems, so Search engines (Google, Yahoo, Bing, Ask, AOL etc) won't have any problems with understanding your sitemap files. All major search engines use the same XML-based protocol for that. This means that having an XML Sitemap will let Google, Yahoo, Microsoft's Bing (MSN), and Ask have up-to-date information any time you upload a new map file to your server. KN Technologies is successfully providing online sitemap generator and standalone generator for our customers, creating sitemaps for websites with minimal time line keeping up the best quality.